Hosting a hacker and maker conference in the middle of a field is an interesting concept; providing high-speed fibre-optic network capabilities to attendees’ tents pushes it from interesting to fascinating; and if that challenge weren’t enough, add in providing a local GSM network, supporting calls both locally and out to the wider world, and the whole thing sounds impossible. 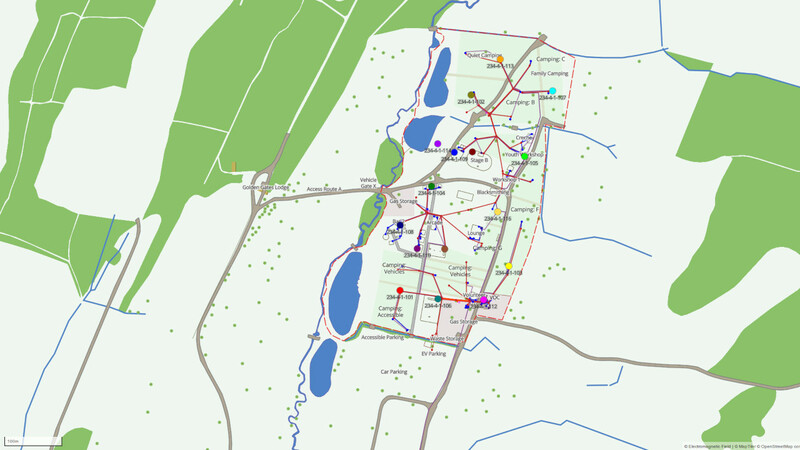 That, though, is Electromagnetic Field, or EMF Camp, a three-day making-and-camping festival held in the UK every two years. 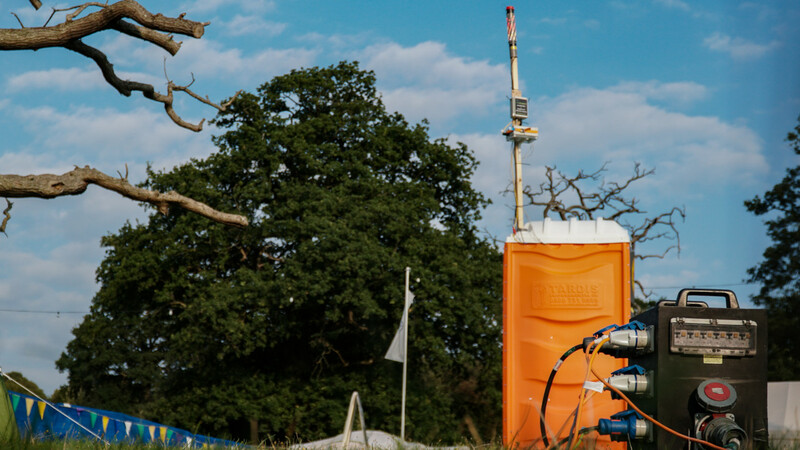 “EMF was started as a weekend of friends going camping and got wildly out of hand,” explains co-founder Jonty Wareing of the event’s origins. “In 2009 Russ and I had founded London Hackspace and the Hackspace Foundation, and by 2012 there were Hackspaces popping up all over the UK. The idea to build on this prototypical, small-scale network centred around one thing: the event badge. 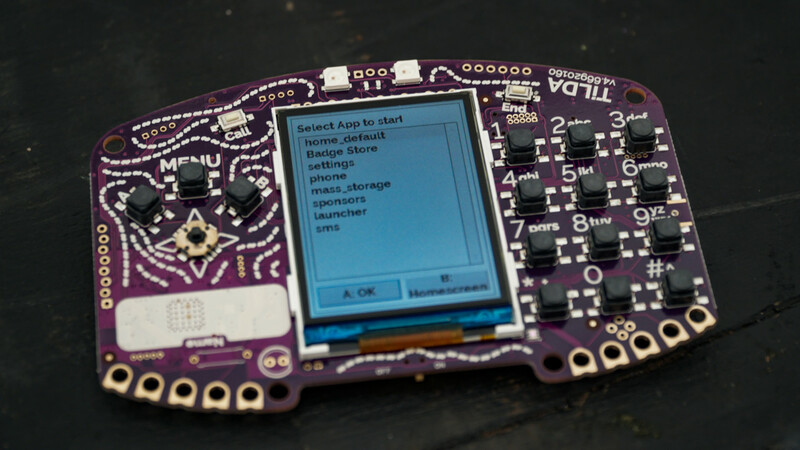 “There are all these kind of embedded microcontroller badges,” Machin explains. “Basically, if you search for the hashtag #BadgeLife, it’s become known as, there are a couple of really interesting articles on the whole thing. The big thing that they wanted me to do for the EMF badge this year was to put GSM on the badge. It’s kind of always been working towards the idea of being a phone or a communications device. 2016, actually, I did a project which was I put SMS on the badge but via Wi-Fi, so we gave every badge a virtual phone number and delivered SMS to and from that number to the badge. Hardware is only half the story, though: the best software defined radio in the world is nothing without software to define it. “The GSM system is something called Osmocom [Cellular Network Infrastructure], which is the open source mobile communications stack. What’s nice about that one versus the OpenBTS stuff I used previously is Osmocom is trying to recreate in software all the logical components of a mobile network. So, anybody who’s worked in mobile carriers will be able to recognise terms like BTS, BSC, MSC, HLR, SMSC, a whole bunch of acronyms usually ending in C, and these are all logical elements in a GSM network,” Machin explains. “Osmocom produces software equivalents of those, which makes it quite easy to understand as someone who’s in that [field of work]. The OpenBTS project is a lot more about condensing all of that and basically providing a GSM radio on one side and a SIP phone on the other. 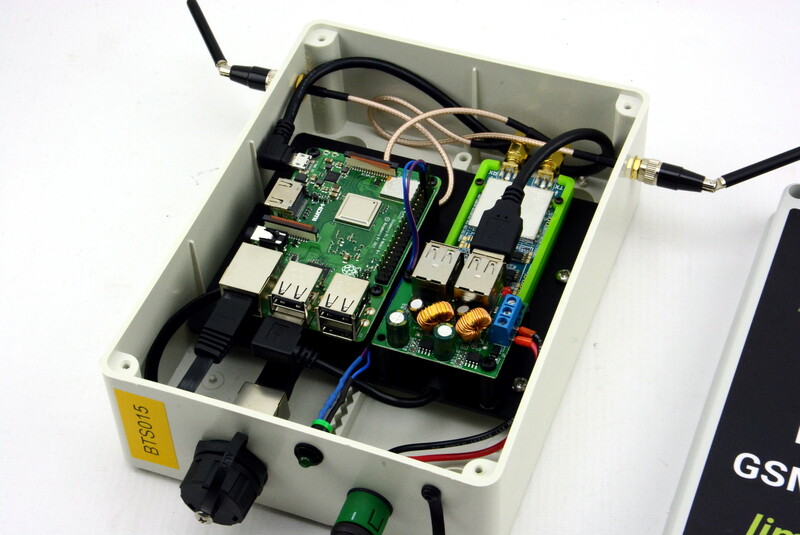 It’s like a way of turning a GSM into a PBX. Osmocom is more like a real mobile network. “I worked with a team called EVENTPHONE. They’re a German group who do DECT networks for events like this, so they’ve got a whole bunch of DECT base stations and provide DECT coverage. People bring their home phones, which is quite funny. They build a Voice over IP network core and managing numbers and stuff, and we built it as a combined network that provided both DECT and GSM and regular SIP for like desk phones around the site, all on one numbering plan and things. Osmocom Network In A Box on its own just allows calls between the GSM devices, but in order to integrate this with both the wider DECT and SIP networks and to go out to the PSTN, we needed to connect up using their Osmocom-SIP connector, which then allowed us to send all our traffic into a combination of Asterisk and Yate. It was a Voice over IP core network, so much like a large office corporate system or something, which then had interconnection out to the real phone network through Nexmo. Machin has given thought to areas where the same core concepts could be deployed for social good, too. “There’s a lot of push for rural broadband connectivity, you know, these fibre projects and rolling out VDSL, even. What we’re finding now is there are plenty of villages which have got excellent broadband coverage and no mobile signal, ironically,” he explains. “For young people, that’s fine because you say ‘I’ll just use Wi-Fi,’ then they’ll use WhatsApp. When they’re in the village their [cellular] phone doesn’t work, but that provides a service they don’t need because everything’s on IP. But, equally, GSM can work for visitors and people coming into an area, or people who just want to use basic phones, you know, dumbphones, and the older generations.